Carrying a credit card—and using it responsibly—is one of the best ways to build better credit. If you make your payments on time each month and avoid maxing out your credit limit, your credit score will improve over time. A better credit score can make it easier to get approved for a car loan, a mortgage or a premium credit card down the road. It also helps to have a credit card in your wallet in case of emergencies. For example, if you need to pay for an unexpected car repair and you don't have enough cash on hand to cover it, a credit card is a lifesaver. You may also have trouble booking a hotel room or rental car without a credit card. But there's a Catch 22: It can be hard to get approved for a credit card when you don't already have a solid credit history. And it's hard to build a solid credit history when you don't have a credit card. That's where a secured credit card can help. When you apply for a secured credit card, you give the credit card issuer a security deposit, which typically becomes your spending limit. When you swipe your card, you're not borrowing money from the credit card issuer—you're spending against your own security deposit. That means the credit card issuer isn't taking a risk by lending you money, so you're much more likely to get approved for a card in the first place. A secured credit card gives you more credit building power than a prepaid credit card. You may be wondering, "How is a secured credit card different from a prepaid credit card?" After all, in both cases, you add money to a card and swipe when you're ready to spend it. But there are a few important differences. Secured cards require a monthly payment. With a prepaid debit card, when you run out of money, you just run out of money. With a secured credit card, you'll be expected to make a monthly payment, which replenishes your balance. Secured credit cards build credit. Because you're making monthly payments (hopefully on time) secured credit cards help you build credit. Prepaid debit cards do not. Secured credit cards are ideal if you have bad credit. Secured credit cards, however, are much more accessible than unsecured credit cards. Because you pay a security deposit when you sign up, you'll most likely get approved even if you have bad credit or no credit. If you continue to make your monthly payments on time, you'll eventually have a strong enough score to qualify for a more premium rewards card. Check for sneaky fees before you apply for a secured card. Unfortunately, you always need to be wary of predatory lenders who target consumers with bad or no credit. Before you apply for a secured credit card, make sure you won't be hit with hefty fees that chip away at your security deposit. Don't pay an application fee. There are plenty of reputable card issuers who don't charge an application fee or processing fee just to sign up, so there's no reason to waste your money on these fees. Check the annual fees.Some secured credit cards charge a small annual fee. Pay your balance each month. The APR (interest rates) on secured credit cards are often much higher than the APR on an unsecured card—it's not unusual to see interest rates that are substantially above the national average—so try not to carry a balance from month to month. Don't bother with balance transfers.Because of the way secured cards work, balance transfers aren't really an option. Say you want to transfer a balance of $200—you'd need to pay a security deposit of $200 first. And if you have $200, you're better off just paying down your original debt. Ready to start improving your credit history with a secured credit card? We scoped out the five best secured credit cards to help you build better credit without spending a fortune on hidden fees. The best secured card if you carry a balance. Interest rates are reasonably low. The APR is lower than the average rate on many premium cards at 10.74%. Indeed, that makes it easier to stay on top of your balance. The annual fee is reasonable. At a comparable rate to similar cards—if you carry a balance each month, the lower APR may make the $49 annual fee worthwhile for you. No penalty rates. With some cards, if you miss a payment, your APR gets bumped up to a sky high "penalty rate." And while you want to avoid having a late payment on your credit report, you can at least rest assured that your APR will stay the same even if you miss a month. If you don't expect to carry a balance from month to month, the low APR isn't quite as make or break. In that case, you may want to look into another option from this card issuer, the First Progress Platinum Elite Mastercard Secured credit card, which has a 19.99% APR but only charges a $29 annual fee. The best secured card for building credit quickly. If you're working hard to improve your creditworthiness, the Capital One Secured Mastercard can help you achieve your goals faster thanks to a few helpful features. Lower your security deposit. The minimum credit limit for a Capital One Secured Mastercard keeps your average security deposit low when money is tight. And if you've already started the process of building better credit, you may be eligible for a slightly lower security deposit than average. Get rewarded for being responsible. If you make your first five monthly payments on time, the Capital One Secured Mastercard will give you access to a higher spending limit. Pick your payment schedule. The Capital One Secured Mastercard makes it easier to pay on time—you can choose a monthly due date that works best for you, and pay by check, online, or at a local branch. While many secured credit cards charge an annual fee the Capital One Secured Mastercard does not, and you can use this to your advantage when you apply. The best secured card for cashback rewards. If you've been shopping around for the best credit card, you've probably realized that most cards with cashback rewards programs require "Good" to "Excellent" credit in order to get approved. You might assume that means you just have to wait for your credit score to go up before you can qualify for a card with rewards. With the Discover it Secured card, you can start getting rewarded for your purchases right away. You don't need stellar credit. The recommended credit score for the Discover it Secured card is between 300-689, meaning even if you have "Fair" or "Bad" credit, you still have a decent chance of getting approved. Earn cashback on your purchases.With the Discover it Secured card, you'll earn 2% premium rate cashback at restaurants and gas stations and a lower cashback amount on all other purchases. Get the most from your cashback rewards. For the first year, Discover it is known to offer some perks and cashback incentives that allow consumers to make the most of cashback rewards. Many rewards credit cards charge an annual fee, which can end up being even higher than the cashback rewards you earn. For big spenders, this isn't an issue. But when you have a low spending limit—as most secured credit cards do—it would be difficult to recoup a high annual fee. But the Discover it Secured card has no annual fee, so you get to keep all the cashback you earn. The best secured card for boosting your financial know how. When you're building your credit history, there's a lot to learn. With an easy application process and a focus on credit education, the OpenSky Secured Visa credit card is perfect for anyone who feels like they're starting from scratch when it comes to finances. Don't stress about the credit check.There isn't one. Just fill out some basic info like your name, address, date of birth, Social Security number, and annual income and you're all set. No bank account? No problem. You don't even need a checking account to qualify for an OpenSky Secured Visa credit card. Start small if you need to. OpenSky only requires a nominal investment to fund your security deposit. Can an OpenSky Secured Visa credit card still help my credit score? In a word, yes. Even though you don't need a credit score to get approved for an OpenSky Secured Visa, the issuer does report your payment history to the three main credit bureaus every month, which will help you improve your credit score. And if you don't even have a credit score yet, you're not alone—many OpenSky cardholders start from zero. And according to the OpenSky website, 99% of those cardholders earn a credit score from the major credit bureaus in as little as six months. The best secured card for military families. 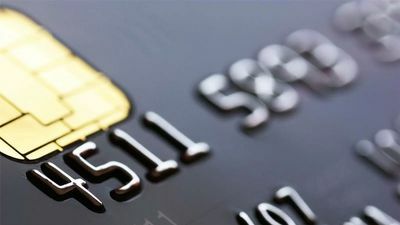 Like most secured credit cards, the USAA Secured Card Visa Platinum requires a security deposit—anywhere from $250-$5,000, which becomes your credit limit. It also charges a reasonable annual fee. In exchange, this card offers a few unique benefits as long as you are considered active or retired military, or are a qualifying family member. If not, move on because you're not eligible for this card. Earn money on your deposit.Instead of paying a typical security deposit, cardholders open a two-year certificate of deposit (CD). This means you'll earn a little bit of interest on your deposit, which is a rare perk. Active military personnel get special rates. USAA offers a special reduced APR for up to 12 months during deployment, which can ease the financial burden for family members. Enjoy extra benefits. Secured credit cards aren't typically known for their perks, but the USAA Secured Card Visa Platinum offers extras like rental car insurance coverage and extended warranties on your purchases. Use it while you travel. If you travel often, the USAA Secured Card Visa Platinum doesn't charge a foreign transaction fee on purchases made outside the U.S.
Who is eligible for a USAA Secured Card Visa Platinum? USAA membership is available to active and retired military and their spouses and children. Choose a secured credit card that supports your financial goals. If you have bad credit or no credit, a secured credit card can help you start building a solid credit history. Just make sure you look for a secured credit card with reasonable interest rates and low fees, so you're less likely to rack up credit card debt. The best secured credit card for you will give you the buying power of credit right now, while also helping you develop good credit card habits and improve your financial footing for the future. Secured but with cash back!